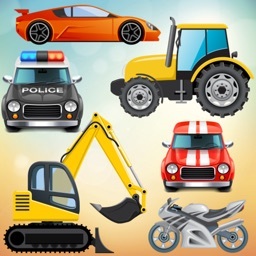 SOUND OF COW, HORSE, LAWNMOWER OR BULLDOZER? VERBAL DESCRIPTION OF EVERY OBJECT? 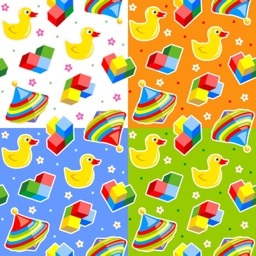 LOOKING FOR SIMPLE PUZZLE FOR YOUR BABY ? 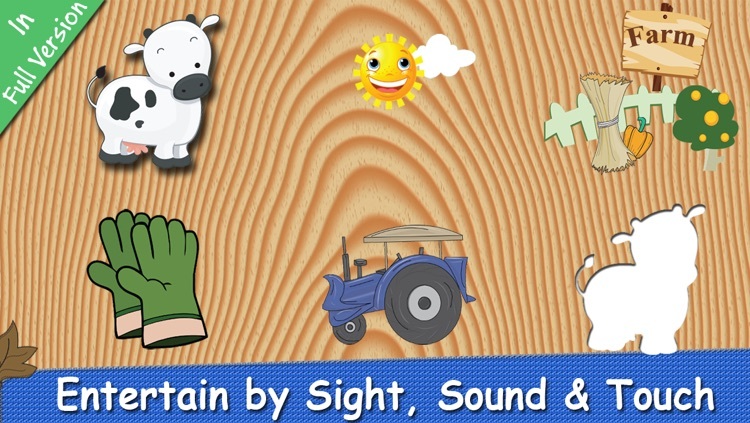 ENTERTAIN YOUR BABY WITH 6 DIFFERENT FARM THEMES AND 90 IMAGES. 12 DIFFERENT LANGUAGES. VERY EASY TO USE, NO CONTROL SCREEN, FLUENT TRANSITION TO NEXT PUZZLE. 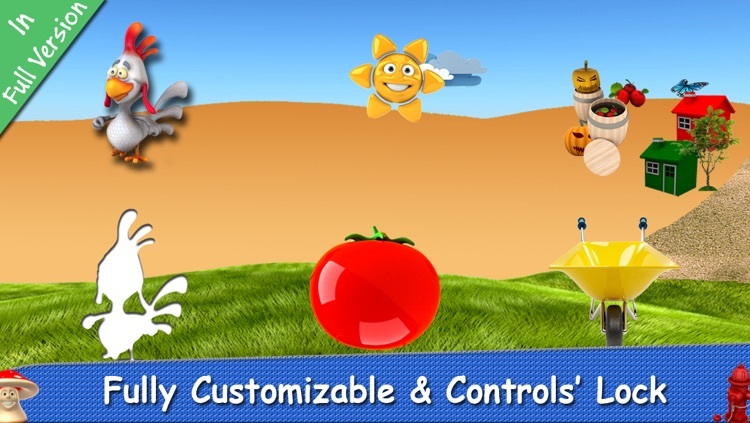 Simplicity is the key to a successful app for children. The app opens right to the activity, without a main menu. Kid has to guess 3 images on every screen by moving the image into the matching hole. 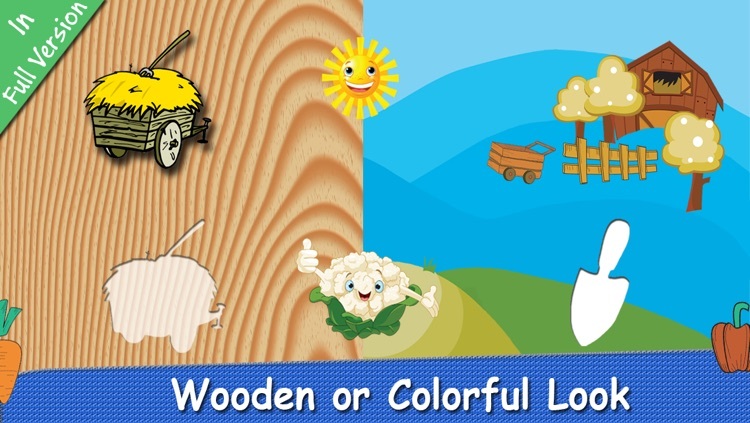 Backgrounds can be easily switched from colorful to wooden look. Run simple slideshow for the youngest where no children cooperation is needed. 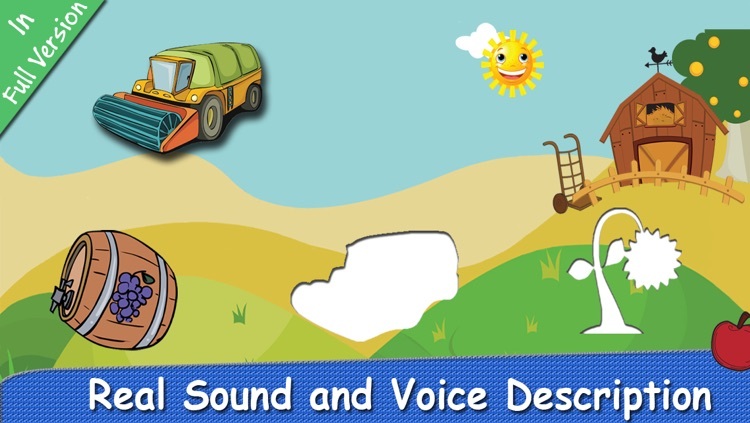 Listen names and sounds of different images in different languages. 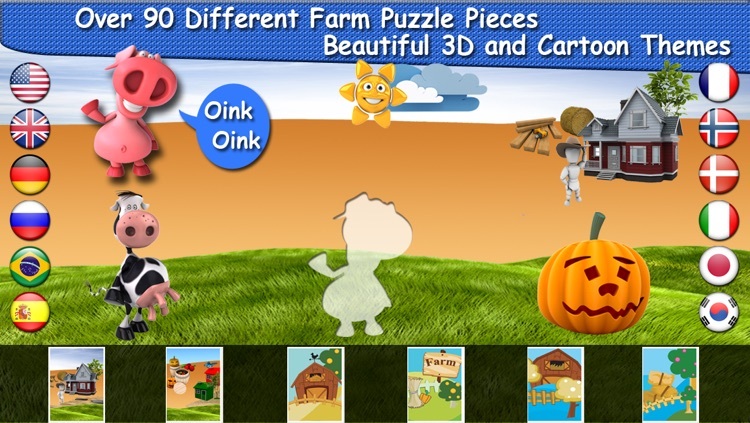 "Farm Puzzle for Babies" brings the beauty of the childehood to the iPhone/iPad, returning to the classic toys of simpler times. * Real sound for almost every puzzle piece (not every puzzle piece makes sound). 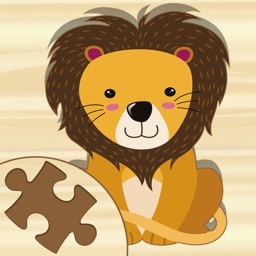 --- Hear name in American English, British English, German, Spanish, Russian, Norwegian, Danish, French, Italian, Japanese, Korean or Brazilian Portuguese of every puzzle piece. * Sound (on/off) and verbal description can be independently configured in control panel. * Control panel can be easily locked so children can't get in there. --- When locked, you have to press and hold the Unlock button for severals seconds to get in the control panel again. * Automatic-Hand mode (slideshow) for the youngest. They can just sit and listen. --- Can be configured in control panel. * Supports all devices and resolutions - iPad, iPhone (ft. Retina Display) & iPod Touch. * Offer easy drag and drop functionality. 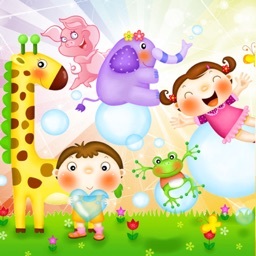 Download this precious app for your little one. Your child will think its fun!